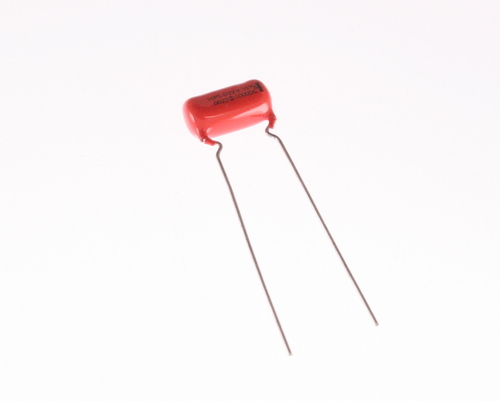 10PSD68 radial film capacitor. Orange Drop Series PSD. Capacitance: 0.0068uF at 1000V. Tolerance: 10%. Dielectric: polyester. 10PSD68 has high moisture resistance. Used in communication equipment. Non-inductively wound, extended foil construction. Made in USA.